Mr. Leland Sun has been re-elected as the Vice Chairman of the General Committee of HKGCC. Mr. Leland Sun, Managing Director and Founder of Pan Asian Mortgage Company Limited, has been re-elected as the Vice Chairman of the General Committee of Hong Kong General Chamber of Commerce (HKGCC). The election was held at the inaugural meeting of the new General Committee immediately after the HKGCC’s Annual General Meeting on the evening of 18 May 2018. Following is an updated list of the General Committee. Mr. Sun is honored and privileged to have been elected to the General Committee and will draw from all areas of his accumulated experience to serve Hong Kong and the members of HKGCC. 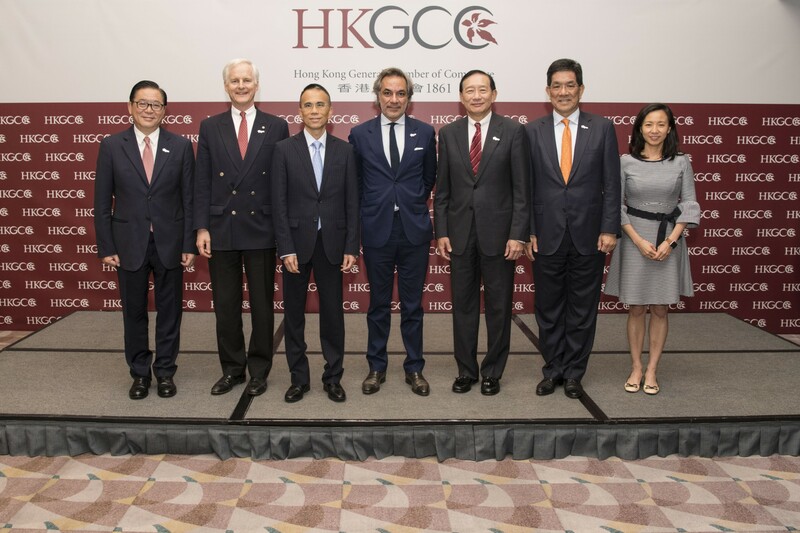 Mr. Leland Sun (second form the right) has been re-elected as the Vice Chairman of the General Committee of Hong Kong General Chamber of Commerce.